KiddyKeys is a wonderfully unique program which combines singing and music appreciation with a very gentle introduction into the world of the keyboard. Children enjoy learning about music through the adventures of Skip & Melody. They sing familiar songs and play games to develop their understanding of basic music concepts as well as developing listening, rhythm and co-ordination skills. In addition the educational benefits from this program include recognition of the music alphabet, counting, colors, and shapes with worksheet activities included. Children meet me in my home based studio in small groups and explore keyboard sounds in a playful and relaxed environment. Using lots of different fun learning activities children love these lessons and quickly learn lots of new skills. KiddyKeys is an excellent program helping young children enjoy an enriching, successful and positive musical experience which they can carry with them into the school environment or more formal music lessons. I provide a nurturing and supportive environment where young children can enjoy their first explorations into the world of music and feel like little stars. It is wonderful helping young children begin their own exciting musical journey in such a fun and constructive way and parents are thrilled with their progress. 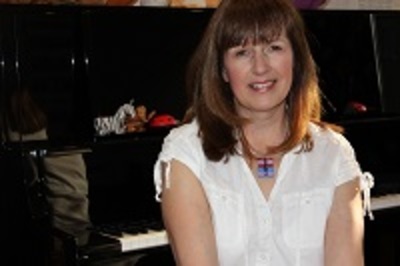 These classes are run in conjunction with my piano teaching studio where I also work with school students and adults.